Traditional removable partial denture consist of a metal framework with plastic teeth and gum areas. 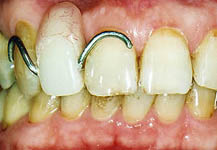 The framework includes metal clasps or other attachments that hold the denture in place. 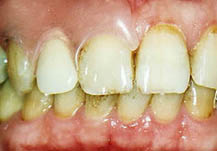 Because the metal bands showing next to the gum-line, the denture is not only unappealing, but also uncomfortable to wear. Dr. Kinga prefers Flexite dentures for her patients. Flexible Flexite dentures are a nylon thermo-plastic, light, flexible and comfortable to wear. Instead of unsightly wire or metal clasps that actually damage your teeth, and need frequent adjusting, Flexite flexible nylon partial dentures clip to the gum instead of the teeth.